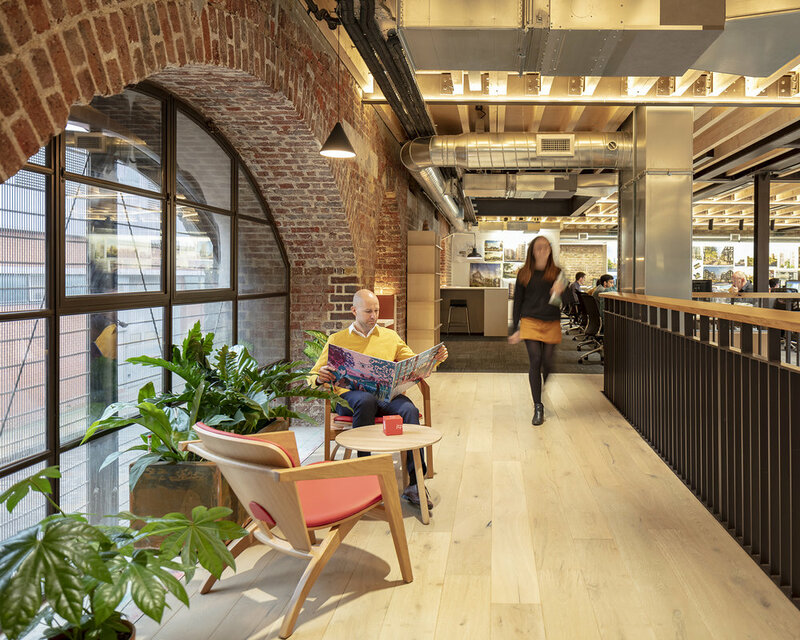 This bespoke installation coincided with the relocation of JTP’s renowned architecture practice to the newly renovated Grade II listed Pennington Street Warehouse at London Docks. We were thrilled to be asked to design the planting for their stunning new home - designed by JTP themselves - and to tailor the planting in line with their specific needs. Our brief included the sourcing of materials which contained low or no VOCs (volatile organic compounds) so as to keep in line with JTP’s commitment to working only with non-toxic materials. Using natural ageing methods to speed up the rusting process, we customised six large Corten steel planters and troughs; these will continue to turn their iconic coppery colour over time. Giant Ficus Amstel King trees, and assorted tropicals for large window troughs, provided the high impact finishing touches.